J Dale Gonzalez is the Chief Product Officer of Axio. 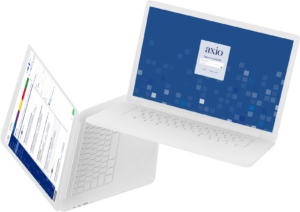 Axio is a cyber risk-engineering firm that helps organizations implement more comprehensive cyber risk management based on an approach that harmonizes cybersecurity technology/controls and cyber risk transfer. Dale’s primary responsibility is the development and execution of the technology platform to enable Axio’s Solving Cyber Risk methodology, which gives organizations and their cyber security leaders, executives, and boards with a trusted, clear, actionable and defensible means of managing cyber risk. Previously, Mr. Gonzalez was the Chief Product Officer at Damballa, where he led the product and technical vision for the firm, with a focus on emerging market opportunities. He held a similar role at Concurrent Computer Corporation, having joined from Dell SecureWorks, where he held several senior positions including Vice President of Engineering, Product Strategist, and Director of Product Strategy. At SecureWorks he was responsible for technology strategy related to new and emerging markets, as well as leading product development for its SaaS security monitoring solution. Over the course of his 25-year career in the technology industry Dale has founded several startups. He was Founder, Chief Technology Officer and Senior Vice President of Engineering at Air2Web, Inc. Prior to Air2Web, he served as Director of Development for EBA Systems, where he helped develop the EBA architecture used in the industry to connect handheld devices across multiple applications, data sources and wireless networks. Mr. Gonzalez also founded and served as Chief Technology Officer of NetGain, providing business-to-business Internet applications.